Here is project #3 for our Holiday Gifts Extravaganza 2009! 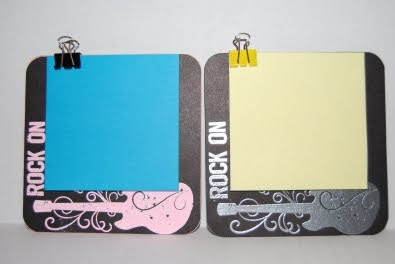 These are fun magnetic post-it note holders perfect for your kid's school lockers! The magnet keeps it on the locker and the mini-clippy keeps those note on the backer. You can choose either silver or pink embossing!